Also with Phil Smith, Carolyn Defrin, Claire Wellin, Alan Wilder, Larry Newman Jr., Bubba Weiler, Abu Ansari, Zack Keller. 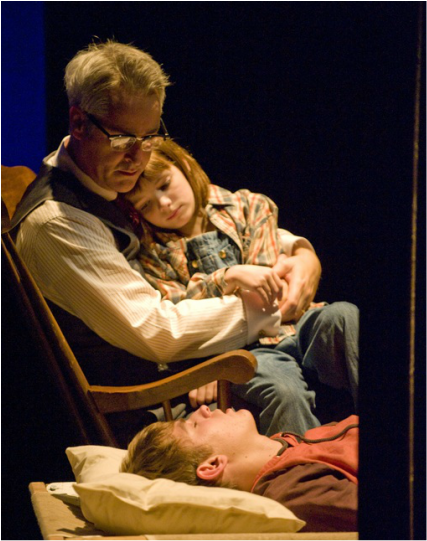 Caroline played the lead role of the narrator, Jean Louise “Scout” Finch in this critically acclaimed four star Steppenwolf production. Caroline portrayed the young tomboy who provides the voice of innocence and justice when a black man is wrongly accused of a crime in this classic beloved novel and play. Critics unanimously praised her performance and complimented her precise southern dialect, her accomplished gymnastic skills and most of all, her superb acting. 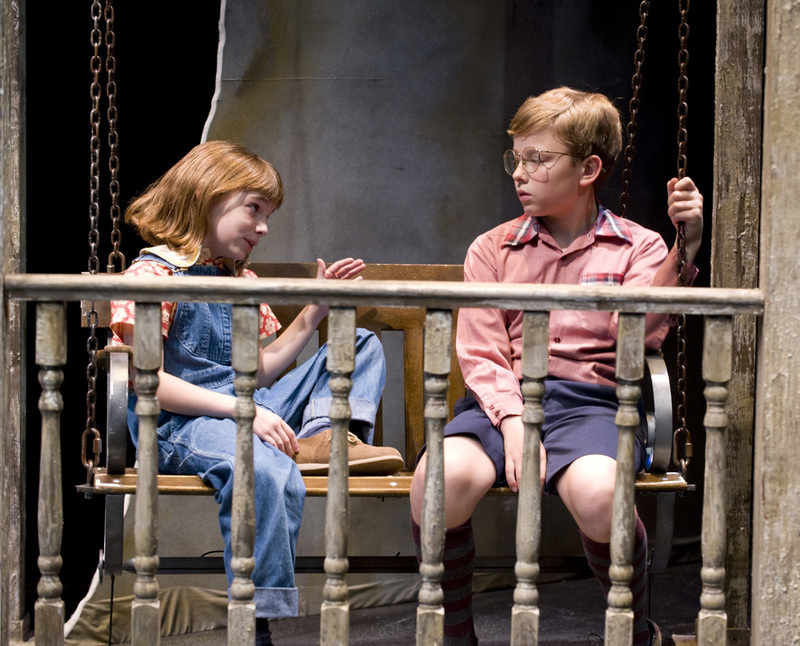 Caroline was featured in every scene in this production, single cast, eight shows a week. She also held her own with adult consummate professional actors including resident ensemble members of Steppenwolf and Lookingglass. 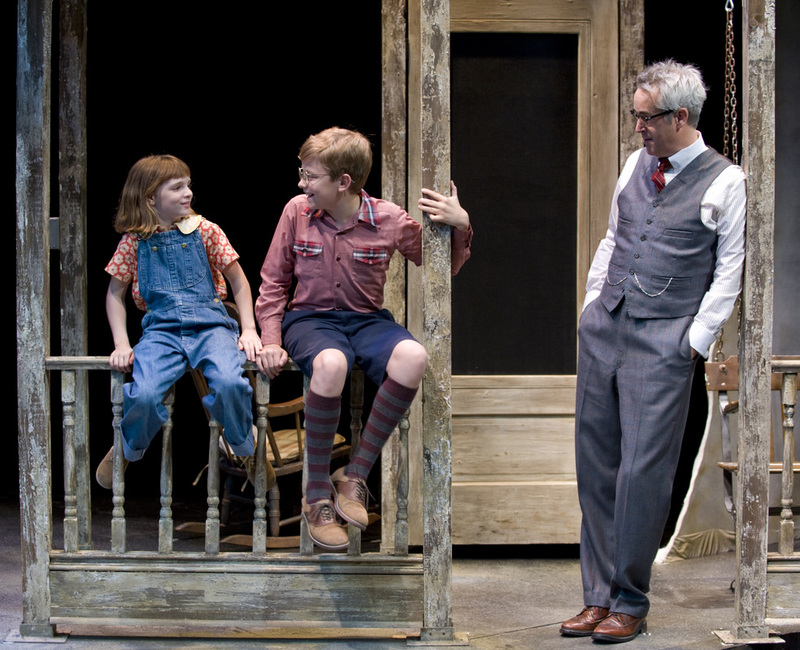 The Chicago Tribune named Steppenwolf’s To Kill a Mockingbird one of the top four productions of the entire year in Chicago theatre. There are extensive reviews highlighting Caroline’s performance in the press section of this web site.